I booked driver in Kuta for three days when I traveled to Bali. His service was excellent and I have no hesitation in recommending him to anyone else. His English was perfect, and he was very flexible in recommending places to visit around various areas of Bali. He was also very flexible in staying on longer past our booked time to drive us around with very little notice and was very patient and waited for us at every attraction. My group of friends and I were in Bali for a bachelorette trip. As there were six of us girls, it was hard to travel by taxis as we would either be separated or be charged ridiculously by the taxi drivers. The car arranged by them was clean, spacious and comfortable with very reasonable rates too! The drivers Jes (although sick) and Made were friendly folks. Jes (our primary driver) was helpful and recommended us places to go. I would give them a thumbs up for the experience I had. Thanks to the many positive feedbacks here on him, we manage to find a very good and non pushy driver. He is accommodative and doesn’t mind us changing our itinerary on the spot. We didn’t do as much touring as it wasnt my first time to Bali, it was more of a relaxing trip for me and my boyfriend, and Putu has helped made it better for us. 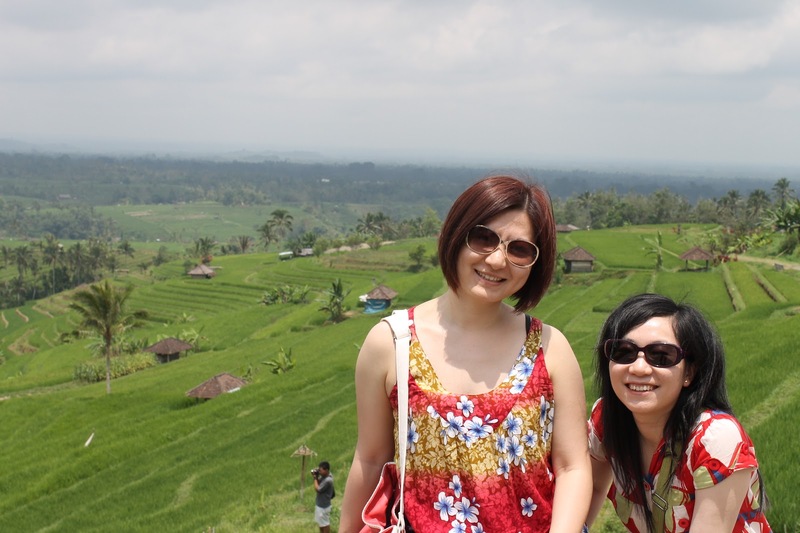 We were highly impressed by the excellent arrangements by Putu, starting from airport and during tours. Binni is very humble guy. He was able to advise us on best route for itinerary plan. He had been very helpful through out the trip. His guidance and knowledge for Bali, Balinese culture and knowledge of English helped us enjoying our holidays. We were highly impressed by the excellent arrangements by putubalidriver.com, Start from the airport and when we take some tours. We had a fantastic time with your team, we learn a lot about bali culture and history because of Putu. I would highly recommend him as your private driver, His English is great. We had our Bali trip in second week of December 2014 and we are great to have Putu as or tour guide/driver. Putu was very helpful to recommend places and activities which are suitable for family travel with kids, in facts he had recommended some places that we did not manage to find out via online search. We choose to use Putu’s service based on EXCELLENT review in Tripadvisor, and we are totally satisfied with his tour service. Highly recommended!! 4.clean vehicle and air conditioning at all times . Thank you Putu for making our Bali trip very memorable. Thank you for your prompt response to my emails and whatsapp messages. Mr. Kutuk our driver was very professional, honest and punctual. His English was good and he recommended really great places to shop, eat and visit. We will highly recommend you to everyone looking to hire a private driver in Bali. Thank you for making our trip to Bali a memorable one. I travelled to Bali alone and booked a driver with Putu two times. Can only recommend it, they really know the area and they design the tour after your personal preference. Kadek Tosa was very friendly and talkative and the cars are well maintained and with good air conditioning, which is really convenient in Bali. Me and my husband highly recommend Putu. We found out about Putu on TripAdvisor. There were plenty of recommendations there and we contacted Putu, which answered very quickly. The car was in a very good shape, air conditioners, comfortable, etc. We had an awesome time together. Thank you for everything, Sudiartha! I traveled to Bali for the weekend while studying abroad in Singapore with 5 of my friends. John was an amazing driver and we had the most amazing day exploring Bali. John definitely exceeded our expectations. Not only did he take us to the destinations we requested, but along the way he offered multiple options for activities he thought we would enjoy such as a gorgeous restaurant on the beach to watch the sunset. We left the day feeling immersed in culture and like we had fully experienced the island. Would definitely recommend Putu driver service and highly recommend John the driver! Can’t wait to come back to Bali!! My wife and I would like to thank Ketut for an amazing trip. We were only in Bali for 2 days and were scared we would not be able to see everything . Not only did Ketut take us to everything we wanted but he took us to other places as well and we could not be happier with everything. He made our trip very memorable and we couldn’t have done it without him. Thank you!! Thank you PUTU for all your hospitality and kindness when we stayed in Bali we have passed your information on to friends. Thanks again and all the best to the family. Albert and Gloria. I contacted PUTU after reading reviews in Trip Advisor and I got an answer immediately. We booked one day before by e-Mail. Our driver KETUT was perfect in time to pick us up at the Hotel and had a lot of Ideas to spend the day. He was very informative and allowed us to spend as much time as we needed at each sight. He was always on time in the spot. Important thing he was safe driver. Overall it was a pleasant and lovely experience. They are very flexible and they help you make the most of your trip/tour by making other suggestions of places to visit when you still have plenty of time to spare. Affordable, reliable and sincere, Next time i will recommend to my friend also KETUT as driver. We took a private tour in Bali and it was excellent. Kadek Tosa was our driver and he was great. He picked us up and was very knowledgeable about Bali. He taught us about its culture, religion and took us to many interesting and beautiful places. He was very polite, and an excellent and very safe driver. He was very accomodating and enjoyed showing us a good time. 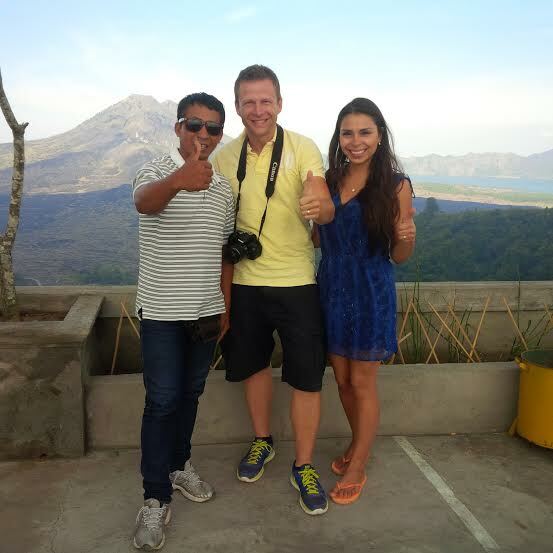 We enjoyed seeing Mt Batur, the Sekumpal waterfall and many other places around Bali. He was very patient with me as I was very slow on the stairs down to the waterfall. Kadek went above and beyond to make sure we had a good day, and I can’t recommend him more highly. Our Tour Guide Ray and Driver Ways was the best Team ever. Had a great time from the start and the end. No boring places we went to. We were both in awe at the rich history of Bali and the local trades from silver making, wood carving, Barong dance, Monkey forest etc…think of keeping this 2 the next few days even on a next trip. I will be recommending Eka to all my friends. We used this service for 5 days during our holiday in Bali. Our driver Dodik drove us all over the island with his colleague Hery and became our guide, giving us usefull information and suggesting us what to do and what to avoid. Given that we spent many hours in the car with them, we got to know each other and we had a very god time together. A vey good price for a super good service! I would absolutely recommend it!